Happy Summer to all our Readers and followers! This is the Summer Film Newsletter from 6 Degrees…At this writing, the Cannes Film Festival is in full swing. Here’s hoping that the Festival will bring to light some new, standout performances and notable films. 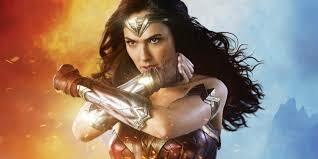 One of the most anticipated openings as far as the Summer Blockbuster category has been Wonder Woman, which opens in early June to kick off what is also known as the Summer Comic Book Hero Season. The other notables have been the Guardians of the Galaxy Volume 2, which made a lot of money-no surprise. And the Alien: Covenant film is one of the continuing prequels in the Alien series, which has done well. Some of the anticipated kids movies are the fun sounding Captain Underpants, also opening in June. Also for kids, there is Cars 3, Diary of a Wimpy Kid, which opened in May, and another Despicable Me movie with Steve Carell. There’s the serial brigade: with Transformers: The Last Knight. There’s the remakes: The Mummy with Tom Cruise, My Cousin Rachel with Rachel Weisz and The Beguiled with Nicole Kidman. There’s sci fi flick: Valerian and the City of a Thousand Planets as well as War for the Planet of the Apes (another sequel/remake/rehash?). For the documentary enthusiasts, there’s Letters from Baghdad in June and An Inconvenient Sequel: Truth to Power in August…. Other notable actors and openings are Once Upon a Time in Venice with Bruce Willis-June 16th; Baby Driver on June 28th; Spider-Man: Homecoming on July 7th; and another Charlize Theron film The Last Face on July 28th. All in all it’s not a bad lineup. There are a few good films that are most likely watchable, and that’s sometimes hard to find when so many films are remakes or sequels/serials that don’t break new ground. Which is why Cannes and other film festivals are so important, as they often bring into prominence the smaller films with low budgets that are more interesting and have new faces and talent lurking under the radar. There isn’t any one type of film that tells us that Hollywood is on the way out, but the handwriting has been on the wall for at least a decade or more. There are so many choices out there, with Indies and Bollywood vying for the same audiences, and the double-edged sword is that there’s a lot of talented directors and actors who are working in films with small budgets and are on the cusp of making it. But there’s also a higher than ever demand to keep cranking out the same stale formulaic versions of yesterday’s hits because they still make money for the studios! So that’s not going to change anytime soon. But, there are a few art house movies that make us sit up and take notice. And I almost forgot….Will Ferrell is making a comedy, The House, set to open on June 30th, so let’s hope there are a few laughs along the way as we prepare for a long hot summer in the U.S.